Mobile Event Towers and room solutions for festivals, promotions and open-air exhibitions. Veloform’s transportable room solutions for events combine important features: versatility, a solid, weather-resistant structure, and a 360-degree advertising surface. Their interior fitting can transform them into information desks, promotion stands, trade fair stands, look-out, advertising column, or DooH advertising tower. Agencies, event organizers and public administrations have used the bboxx Event Towers for showcasing their brand effectively. bboxx mobile Event Towers have been successfully installed at festivals, open-air exhibitions, garden shows, trade fairs, ‘fan miles’ and prestigious construction sites. 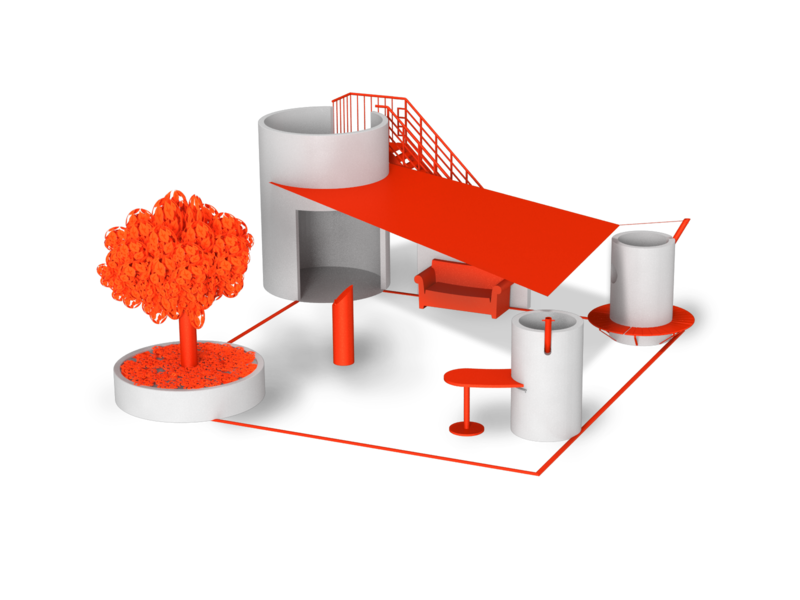 The round, versatile pavillons can be combined to form the event-lounge with canvas roof, or a pop-up park in the city. For further infos on bboxx AdScreenTower and LEDAdTower visit our LED Outdoor Advertising product page, or the dedicated homepage www.adscreentower.de. It boasts a striking shape and can be extended with a roof terrace, providing a complete solution for brand promotions. Transportable, fully equipped pavilion for presentations, trade fairs, road shows. Versatile, solid, with 360-degrees advertising surface. bboxx Event Tower provides a transportable room solution for interactive promotions at large-scale events. Mobile Event Tower with roof terrace, advertising space and exhibition rooms. Eye-catching, transportable, weather-resistant and all-year-round. Ideal look-out for events, can be combined with information desk or box office. Transportable pavilion for kiosk operators. Many extras such as roof terrace, canvas blind, and lighting available. Ideal also for drinks, snacks or as a catering stand. bboxx AdScreenTower with up to four digitalen screens for outdoor advertising. Ideal for the most important events such as trade fairs, festivals, public areas. Upgrades available with info booth, bar or kiosk at ground level. Mobile room system for promotions, trade fairs and open-air-events. For the components of the bboxx Event Lounges, all bboxx models can be used. Delivery and assembly are quick and easy.